Yokogawa Electric Corporation offers an enhanced version of the ProSafe®-RS safety instrumented system. This latest release, R4.03.00, includes an improved engineering function for configuring fire and gas systems (FGS) and new operation faceplates for the FGS operation and monitoring screens. These enhancements make it easier to adopt and use ProSafe-RS in FGS applications. 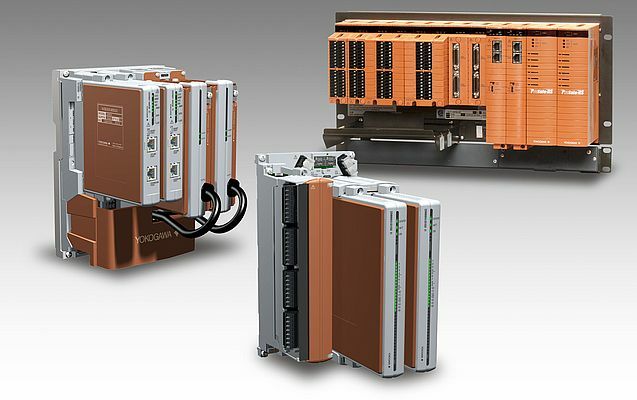 Yokogawa’s ProSafe-RS safety instrumented system can be integrated with the CENTUM VP integrated production control system and is widely used mainly in ESD applications all over the world. In response to the rising need for FGS solutions, this latest release includes features that make it easier to adopt and use this system in such applications. And by adding a new input/output (I/O) module and enabling the use of an alternate control network topology, we are giving our customers a greater range of choices in their ESD and FGS applications. Cybersecurity has also been strengthened. For the Vnet/IP® real-time control bus, ProSafe-RS has relied on the star network topology, in which all devices are connected to a central hub. Vnet/IP is a control network developed by Yokogawa that features high reliability and quick response. Vnet/IP complies with the IEC61784-2 international standard. The new ProSafe-RS is also compatible with the ring topology, in which devices are connected to each other in the shape of a ring. This feature affords our customers greater flexibility when configuring their systems. As a result of enhancements made to the ProSafe-RS engineering station’s software security functions and changes to the Windows® security settings, users can now set their systems to a higher security level. This latest ProSafe-RS release also supports a Windows function that enables the centralised management of security settings. With this feature, users can apply the same security settings to multiple monitoring and operation PCs, thus greatly improving plant security. For use in emergency shutdown systems (ESD), burner management systems (BMS), and fire and gas systems (FGS) in process industries such as oil, natural gas, petrochemicals, chemicals, pharmaceuticals, electric power, and iron and steel.